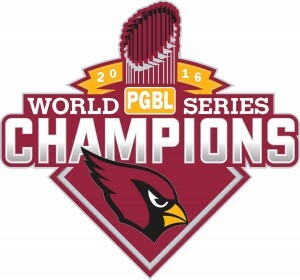 Mark Teixeira’s three-run home run capped a five-run fifth inning and Matt Carpenter added another three-run shot in the eighth as the Chicago Cardinals captured their fifth PGBL championship with an 8-3 win over Oakland in Game 6 of the World Series at The Coliseum. Garret Cole set tled down after the Athletes’ three-run first to finish with seven strikeouts in seven-plus innings. Carlos Villanueva retired all four batters he faced, striking out Francisco Cervelli to finish Chicago’s second title in four seasons. Chicago won the final four games after Oakland took the first two contests at home. Teixeira hit .412 in the Series with three homers and eight RBIs to earn MVP honors. The Cardinals won 98 games in the regular season but entered the postseason as the North League’s No. 4 seed after finishing third in the Norris Division’s tight three-team battle. Chicago ousted Ottawa in a four-game Divisional Series meeting and topped Cleveland in a six-game NLCS. The 123-win Athletes were pushed to the brink by Las Vegas in their Division Series before advancing with a 6-2 win in Game 5. Oakland then got three shutouts in the final four games to claim a 4-2 SLCS win over defending champion St. Louis.